I have to admit I have a bit of a luggage fetish. I don’t think it’s a particularly damaging one, but I do love the way a well-engineered trolley-bag handle slides in and out of its housing. I’ve always loved the way any Antler bag seems to last for half of forever and I was well happy with my trusty Thule laptop backpack until someone helpfully pointed out that I was, basically, walking around with the word ‘Tool’ written in large, reflective, letters on my back. The price is €29,984 (before tax), the car is the Wraith coupe and the car maker (or perhaps I should better say manufacturer and crafter of motor-cars for the landed gentry, what-what-what) is Rolls-Royce. 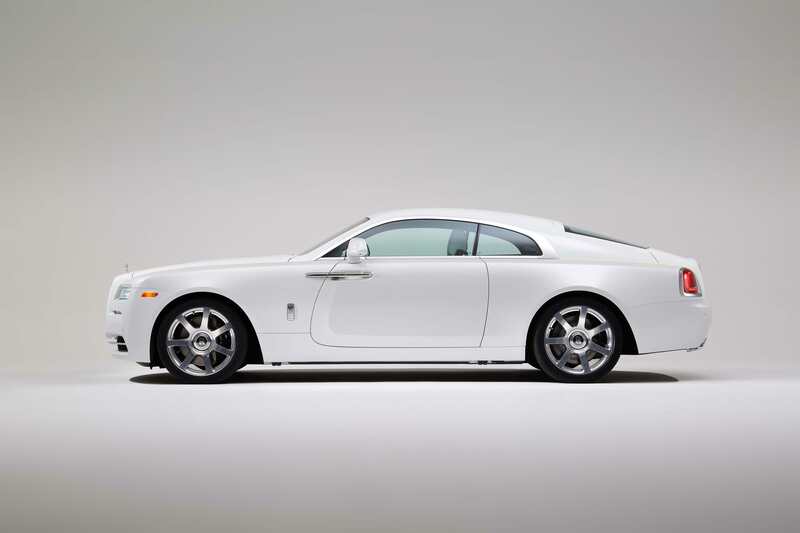 Rolls has, forgive the bad pun, been on something of a roll since BMW relaunched the brand back in 2003. Since that glorious Phantom came out we’ve had the likes of the Ghost, Wraith, Dawn and Phantom Coupe and each one, in spite of using as many BMW parts as possible to keep the costs down, has managed to look and feel a little more special than most rivals. Assembled in a factory so silent and precise that it’s like a cross between a cathedral and an operating theatre, each Rolls-Royce really is hand-finished to an incredible standard, one loftier than most other car makers would bother with. And now it’s making luggage. Expensive luggage. 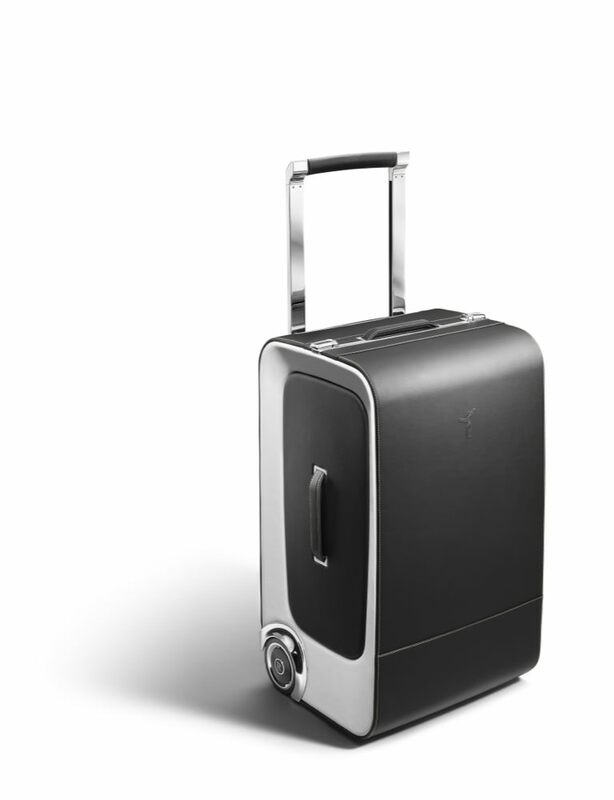 Gorgeous luggage. 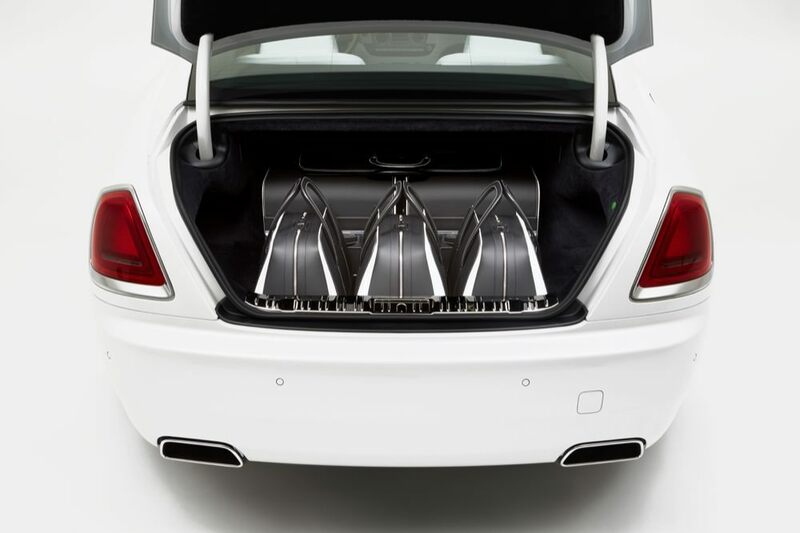 It’s a six-piece set, designed and crated by Rolls-Royce’s bespoke designer Michael Bryden and the set has been designed so that it fits, perfectly of course, into the boot of the Wraith coupe. And these are not mere bags. They have evocative names such as Grand Tourer valise, Weekender and Garment Bag. Each one has the outline of the famed silver lady, the Spirit of Ecstasy, embossed onto the side and there is as much leather and carbon-fibre used in their construction as you’d find in some actual cars. 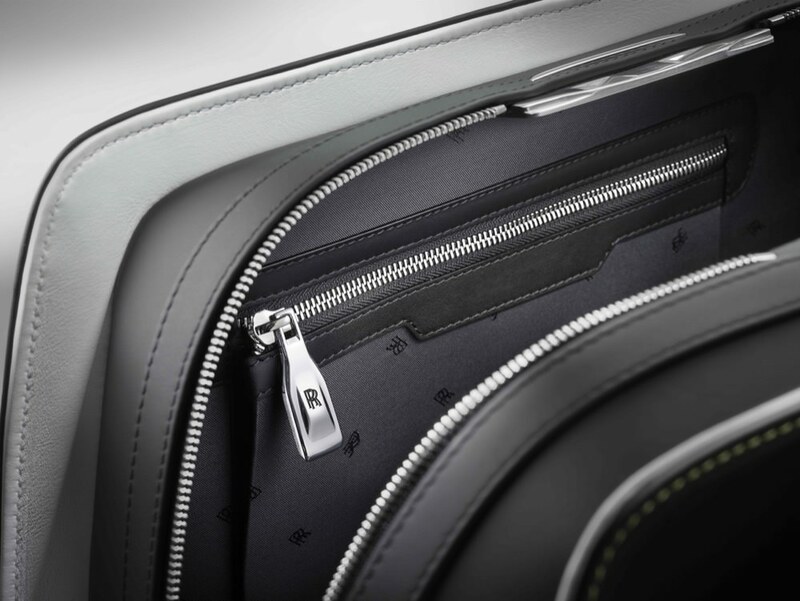 But this being Rolls-Royce, it’s not just about making an expensive trinket – functionality has also been thought of. “The design team conversed with Head Butlers from some of the world’s most illustrious hotels, who offered insight into the interaction between guests and their belongings. 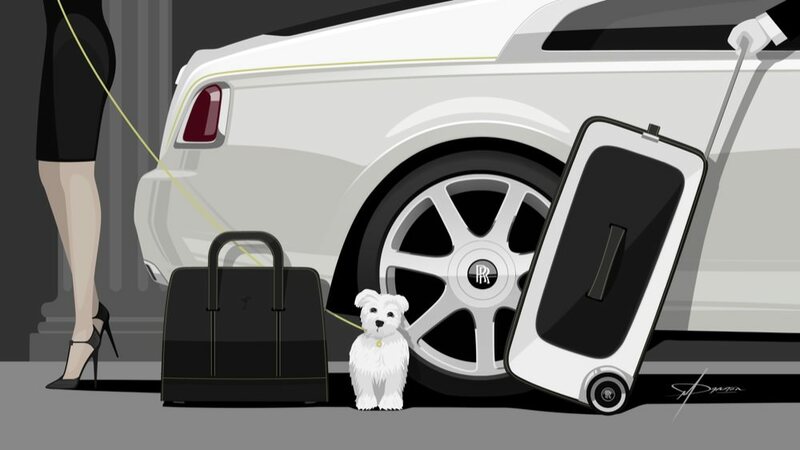 Luggage is not only seen as an expression of style, but also as a wardrobe from home, increasingly important as entrepreneurs and captains of industry adopt a more transient lifestyle.” said a Rolls-Royce spokesp… no, let’s say representative. The wheels of the wheelie-bag, nope, sorry, mobile wardrobe, have been designed to be as widely-spaced as possible to make the bag more stable as you trail it behind you. And, and this is the bit I really love, the wheels have the same self-centring Rolls-Royce double-R logo set into them, so that the famous badge is never seen upsettingly upside-down. There’s more. The leather straps have the stitching cleverly hidden so that they won’t chafe your palm or snag your expensively manicured nails, while the handles have been very carefully balanced “meaning no undue pressure is placed on the hand.” I love that line. No other car maker would include a line like that in a press release (media missive?) and that is part of what makes Rolls so very special. 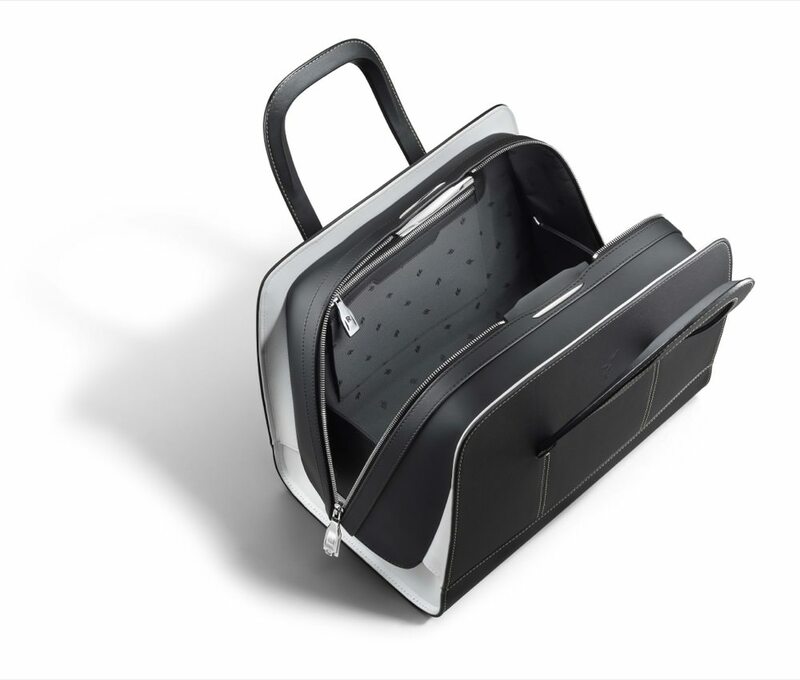 The garment carrier is specially designed to hold either a tuxedo and shirt (natch) or a lady’s gown, and there’s a small leather loop set into the fabric which can hold a tie or a scarf. I’d love a Wraith. 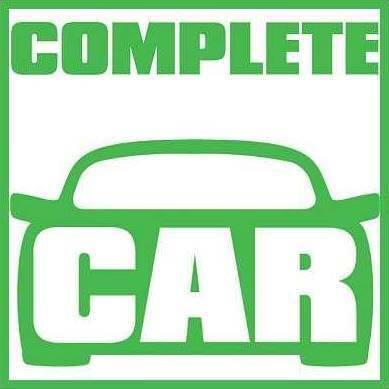 I can’t be bothered with cars which are too sporty or too cramped, and the combo of peerless comfort and that mighty turbo V12 engine are hugely appealing. I can’t afford a Wraith, of course. I probably won’t be able to until some time around 2060, when they drop below €10,000 and cost an arm, a leg and and the other leg to get parts for. I could, theoretically, afford the luggage though. After all, €28k is only the price of a Nissan Qashqai and loads of people buy those, right? And these bags are far more useful than a crossover SUV, right? And I can totally justify this to my wife and kids, right? Right?